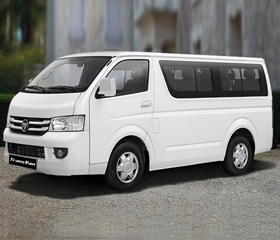 Perfect for the family or business, you can now purchase the 13- and 15-seater variants of the Foton Transvan with P89,900 All-in Downpayment. You will just have to pay P24,035 for a 60-month financing period. 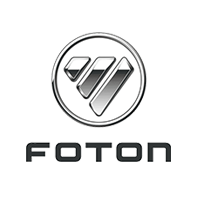 This offer is available at Foton Cebu South. 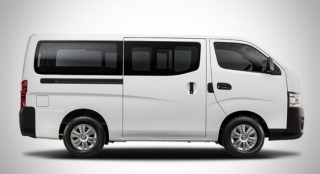 With a price tag of P1,188,000 (includes shipping fees), the Foton Transvan has a 13- and 15-seat capacity and boasts of comfortable seating for all passengers. It also features front and rear air conditioning for a more comfortable ride. 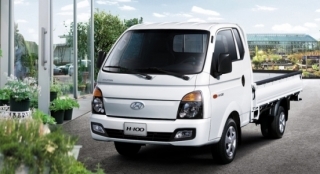 The Transvan is powered by a 2.8L 4-cylinder turbocharged diesel engine that can produce a maximum output of 90 hp and 200 Nm of torque. It is then connected to a 5-speed manual transmission. 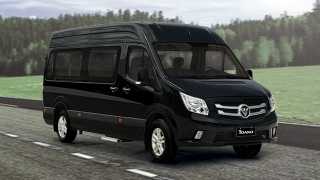 The FOTON View Transvan measures 5,050 mm long, 2,030 mm wide, and 1,980 mm tall along with a wheelbase of 2,570mm. Big enough for your business or family needs.